I do just about everything but the accounting here at Thursday Night Press, and that includes book cover design, web design and ad design. I thought I did an okay job at those things, but I knew I could do better. My work lacked a certain "professional" look I couldn't describe. 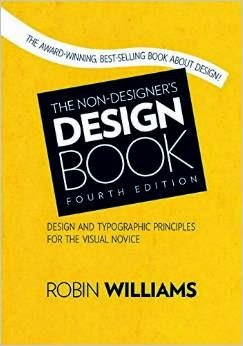 So I was curious when Amazon recommended to me The Non-Designer's Design Book, Fourth Edition by Robin Williams (ISBN 978-0-13-396615-2). My opinion of the book is succinct: If you have to do graphic design, and are not professionally trained, buy this book and read it. Well, I applied those principles to a web project I was working on—a Facebook catalog of TNP books—and the result was much better-looking than before, more interesting. And the most important thing was that I understood how and why the result was better. This is not a thick book. And instead of lots of words, there are lots of pictures, so you can see what she means when she describes a concept and how to apply it. I understand she has another book out that goes deeper into typography; I intend to find it and read it, too. I'll give this book 5 of 5 stars.